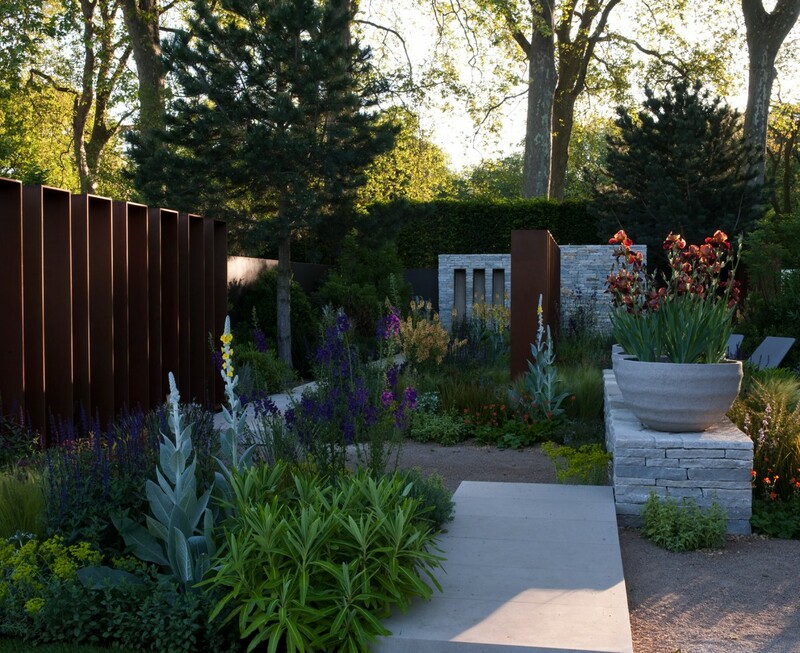 I designed this garden as a metaphor for the different journeys one can take through life. 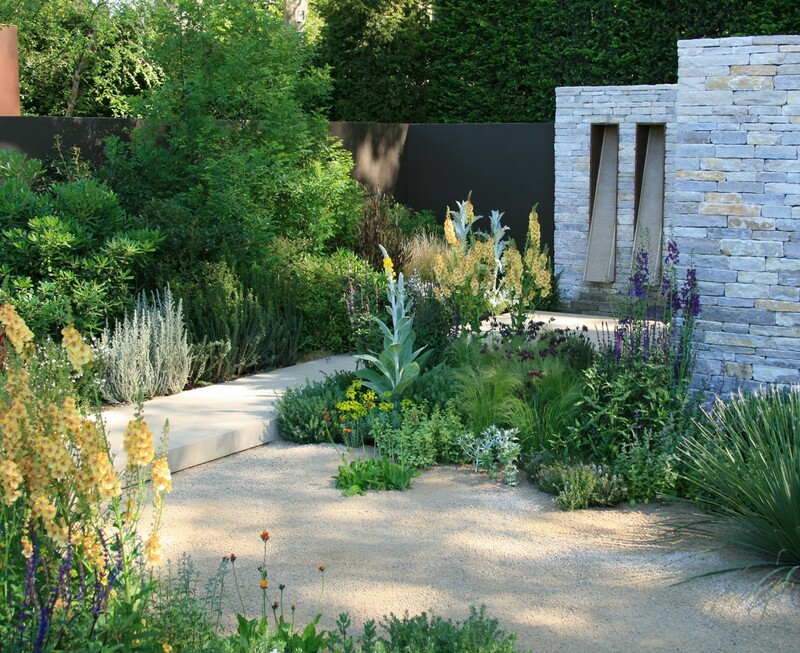 Several paths lead through the garden and the visitor is presented with a number of choices. 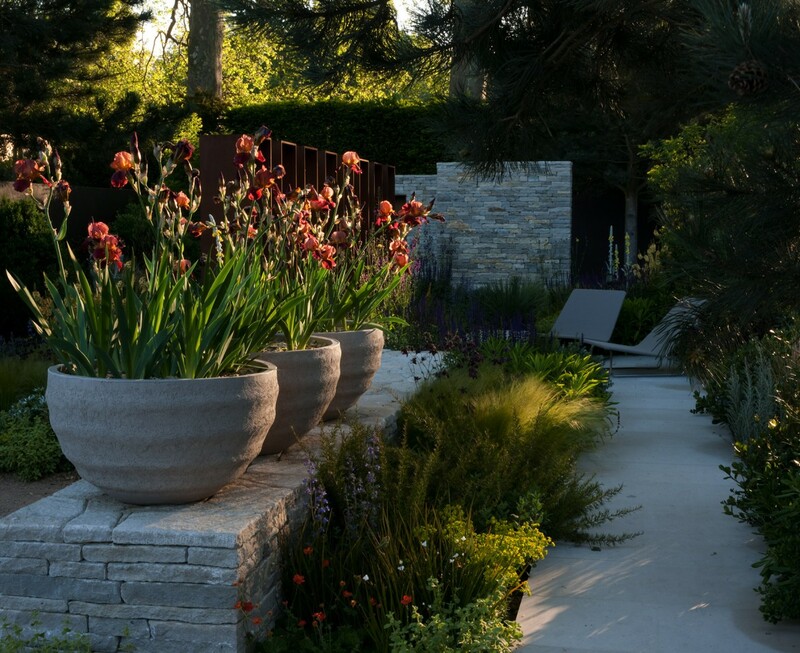 Each route offers a subtly different experience yet ends in the same destination; a tranquil courtyard at the rear. 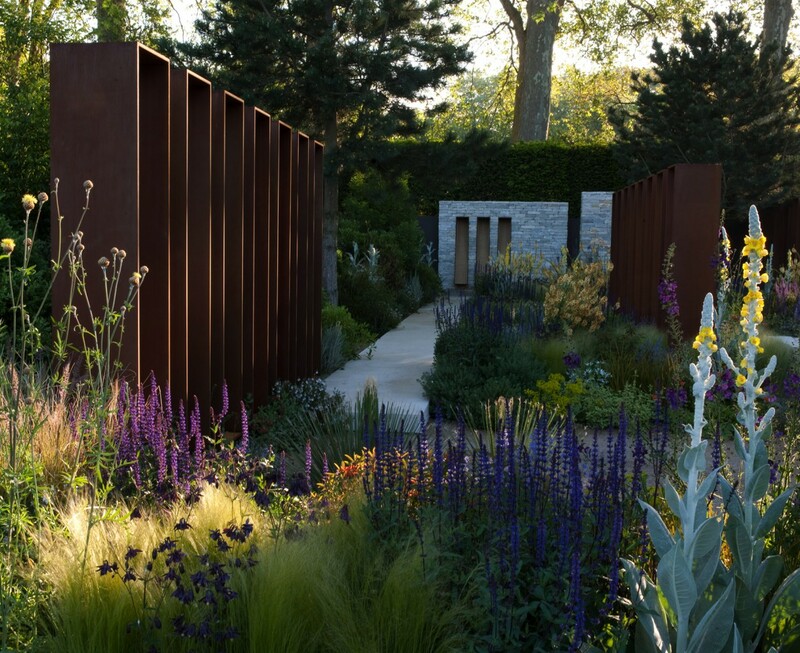 A series of three corten steel screens appear like monoliths, at first framing views and defining the routes but as you arrive alongside they open and offer glimpses through to the alternative route that could have been taken. 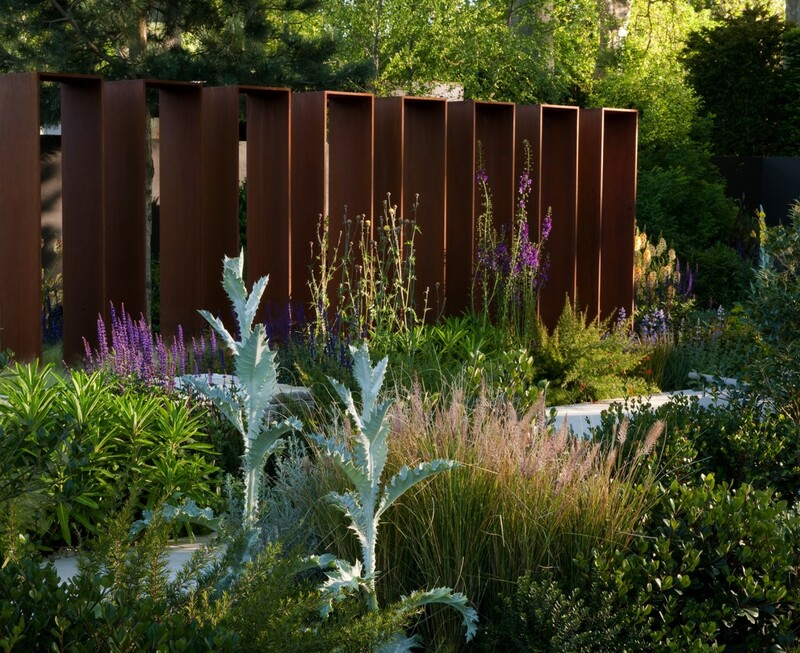 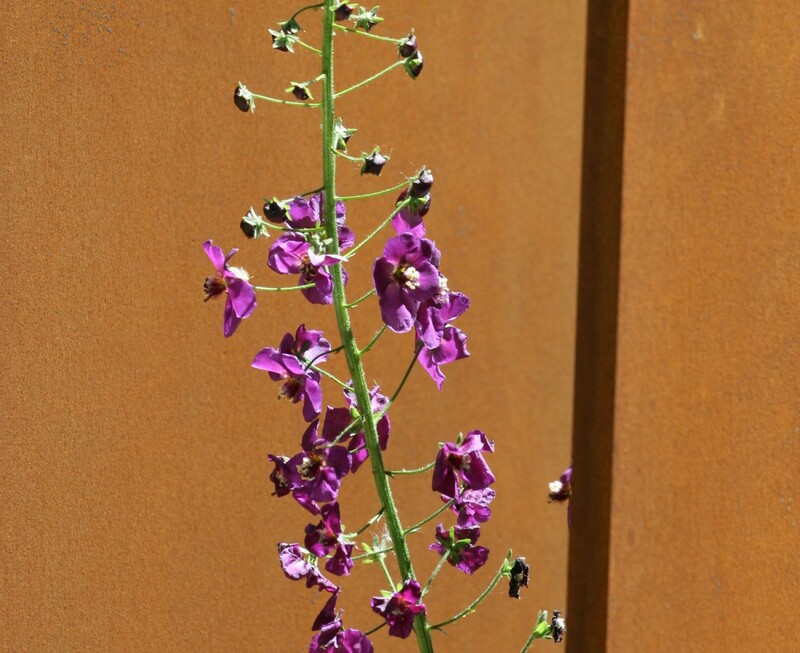 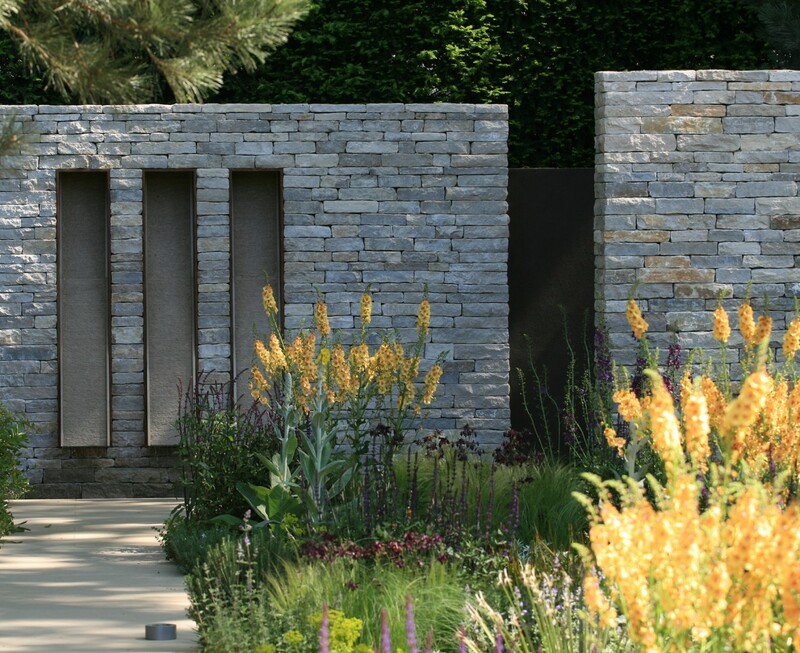 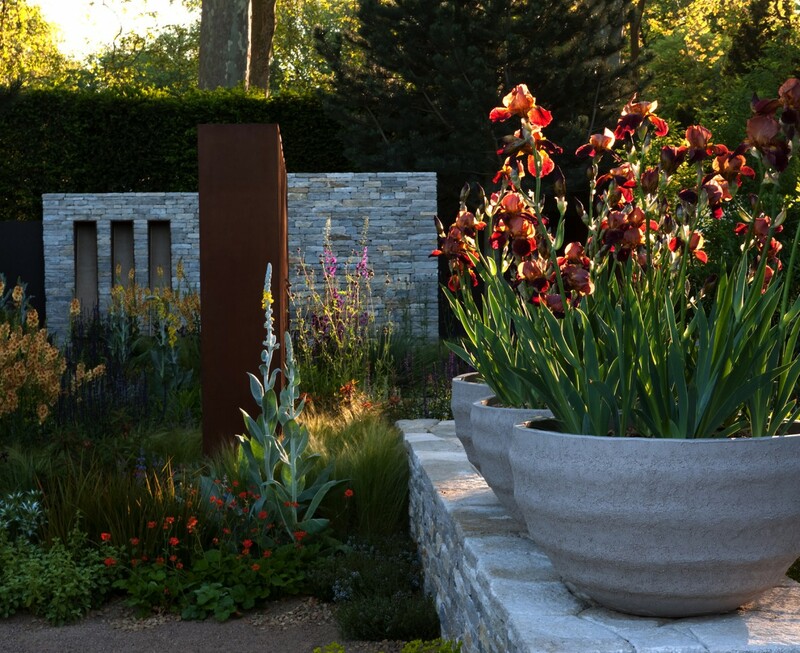 The planting is inspired by travel and features species from Mediterranean climates around the world including parts of Chile and Australia. 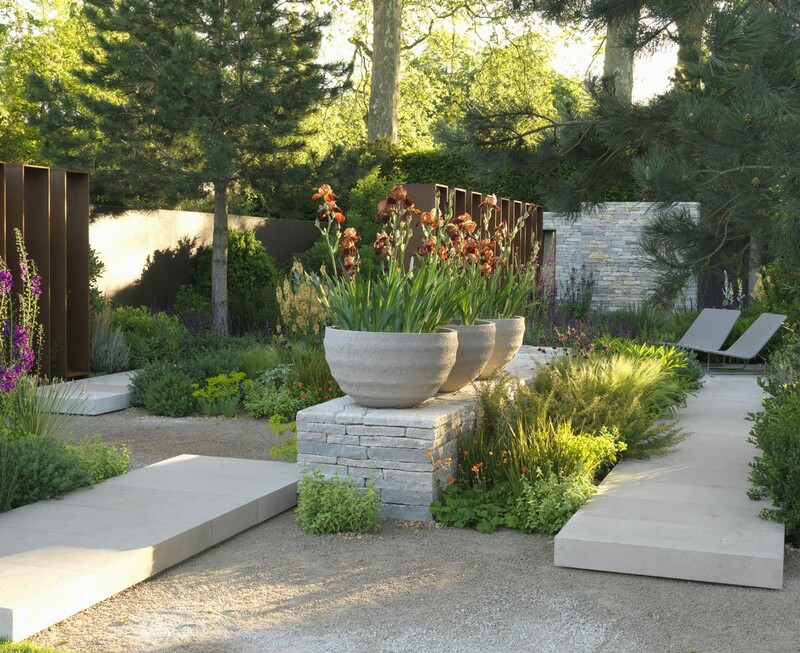 Despite having an exotic flavour I was keen to use stone and gravel from the UK as I always prefer to source materials locally. 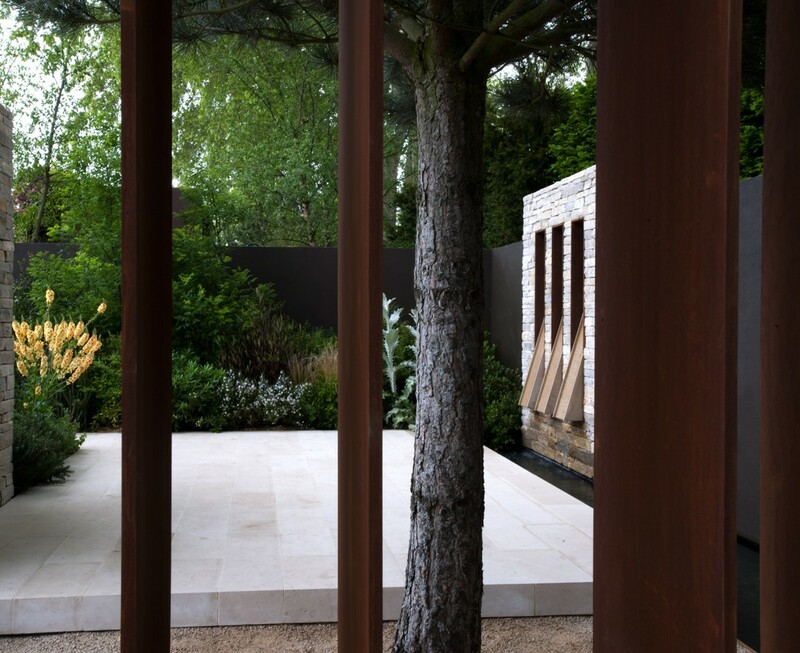 The courtyard with water cascading into a narrow pool takes its cue from a typical Islamic garden.